Join other Catholic men from across the Diocese of Trenton at the 22nd Annual Men’s Conference on Saturday, February 23, at Saint Mary, Mother of God Parish in Middletown, NJ. The theme of this year’s conference is “Rebuild My Church”. Hope you can make! Any questions? Contact us at info@catholicmenforjesuschrist.org. Register Today for the 2019 CMJC Conference! 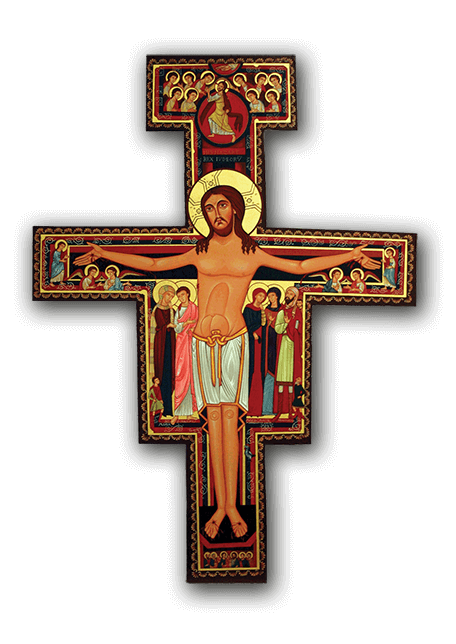 The San Damiano Cross is well-known as the one beneath which St. Francis was praying when he heard Christ commission him to "Rebuild My Church"